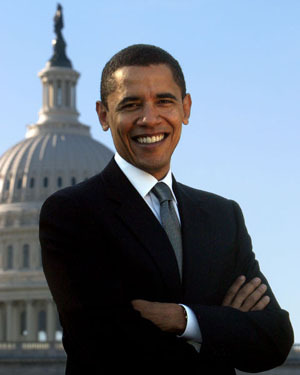 Barack Obama is a new brand of leader, with a new vision and a fresh approach. He also happens to come from a mixed race. Is there a link between his freshness and his ethnicity? Is he giving hope to ordinary people and peace to the world because of his distinctive approach to leadership - we think so. In the British workplace, there are few examples of innovative leadership. Most organisations are very hierarchical, and tend to promote the same types of people to the top. Also very often, leaders do not want challenge in the boardroom. They like people to agree and follow their orders and not question. Where major decisions are at stake, and if there is an error of judgement by one individual, it could potentially sink the whole organisation and its reputation. Remember Enron, Maxwell, RBS, ... the costs and numbers of employees who lost their jobs and pensions were huge. In truth, there are different models of leadership and different types of leaders. Also it is often said that the best leaders are the ones with values and integrity. There is no one perfect model of leadership, and emotional intelligence is as important to a leader as rational skill and intellect. Spiritual values can also produce great leaders. When you are choosing an organisation to work with, try to look at the leadership and the culture of the organisation - and dont read these from the brochures, which are always glossy and heavily promotional. Talk to some people who work there, look at some of the projects and work the organisation undertakes, the values it espouses, and try to find a workplace which has similar values and aspirations to yours. If you do not have a choice, then take the job, but try to give leadership to what you do. How you talk, communicate, work in teams, motivate others are all as or more important than your technical knowledge. Build your soft skills as much as your hard skills - these are always useful in life. To leaders, we encourage you to embrace diversity and seek diversity, so that your organisation reflects the outer world, and embraces different cultures and shows that cohesion is possible in the workplace. This gives a powerful signal lower down the organisation. If you do not have this diversity at the top, then think carefully about making the change, develop a strategy, and execute it pro-actively. It is argued that if British Banks had more women in their boards, we would not have the mess we are in today. Could the same be said about people from diverse cultures, male or female? Look closely at the internal promotions of your organisation. Why is it that there is a diverse bottom, and a mono-cultural, male, top. What happens in the middle? Are there road blocks, lack of mentoring, bullying and harassment, such that some types of people are discouraged and dis-abled from climbing the ladder? At Diverse Ethics, we place a huge importance on leadership and models of power and control. We encourage creativity and innovation, and demonstrate that diversity is a key component of this. We try to show that leadership need not always be about power and control, and can be about empowerment and the giving up of control. There are many world cultures where leaders simply do not know how to grab power and abuse it - it is simply not in their value system. Diversity may lead to conflict, but are there no conflicts in a mono-cultural team? This can be a helpful tension, one which is connected and informed, and able to cope with external changes and globalisation forces in a robust way. Again, if you look at America, it is amazing how well ethnic professionals have done there, in an environment which is significantly meritocratic, and where opportunities are shared by all.